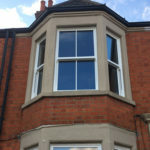 After much deliberation, our clients decided that the time was right to change their windows. 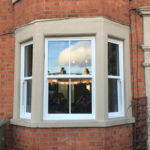 They moved from old aluminium windows – which had been a replacement for their original timber box sash windows – and to a more visually impressive choice. 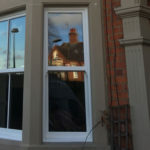 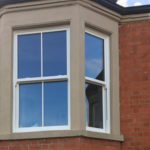 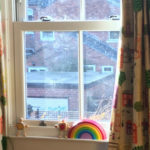 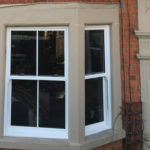 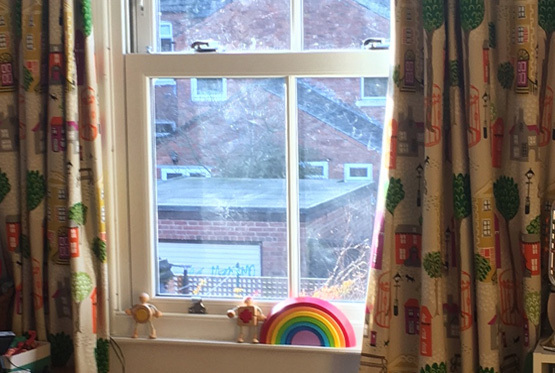 For their home, they decided to go with sliding sash windows in Wolverton, Milton Keynes. 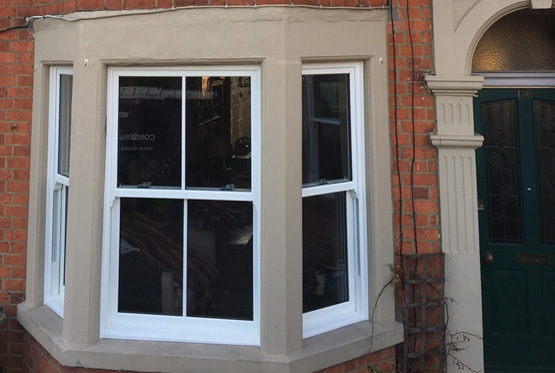 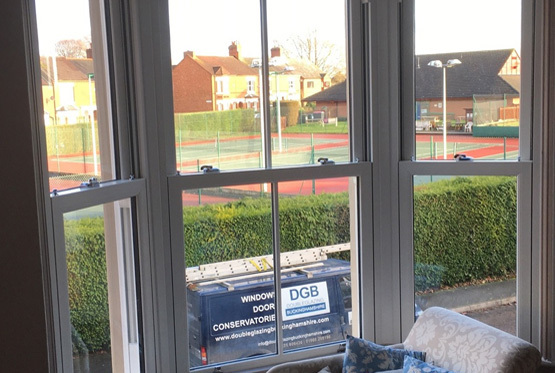 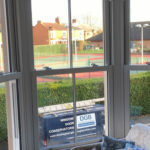 Our clients decided on 9 UPVC sliding sash windows finished in white woodgrain foil on both sides and had commissioned DGB to complete the installation. 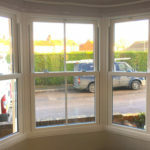 Crucially, this meant that they met the requirements of the local planning authorities and could go ahead with the installation of sliding sash windows in Wolverton, Milton Keynes. 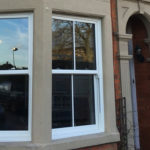 Their choice in windows also provided the homeowners with superb energy efficient windows, peace of mind regarding their state of the art security and a stunning appearance which took the home back to its original look. 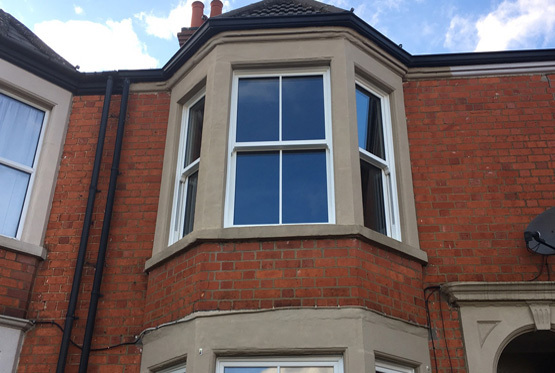 The three windows at the rear of the property were completed first and then once planning approval had been received, the front two bay windows were installed, making the property not only energy efficient, but also improving its appeal. 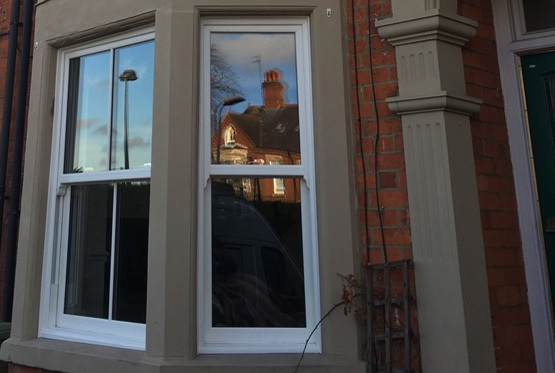 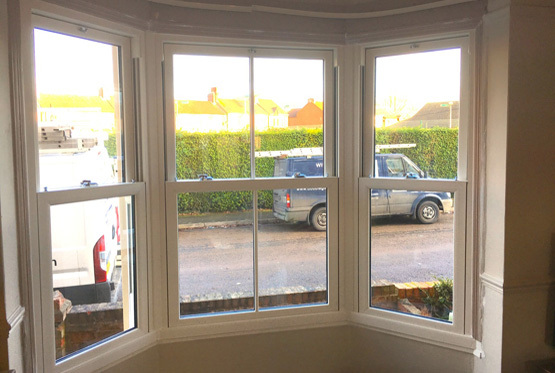 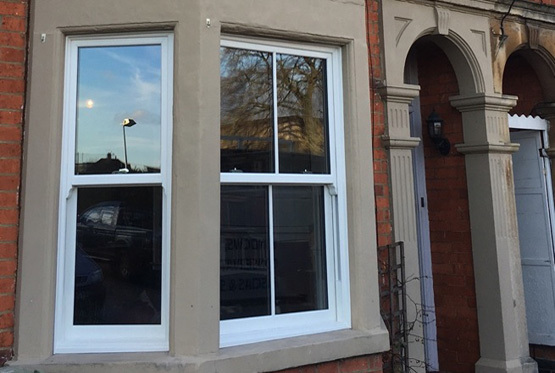 This installation of sliding sash windows in Wolverton, Milton Keynes is proof that you can combine character with security and the ultimate in warmth. 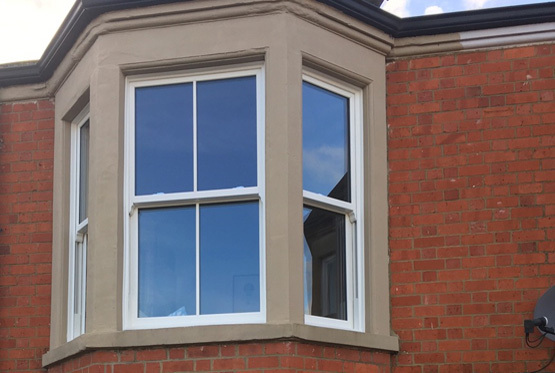 These windows have systematically enhanced the look and appeal of the home, reviving its charm and its ability to create a wonderful atmosphere for our clients. 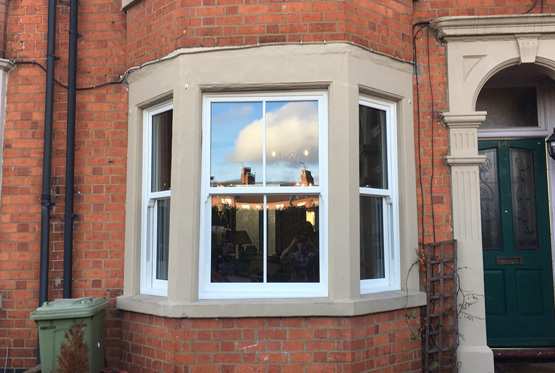 The clients are over the moon with their new windows and will be receiving envious comments from passers-by for a long time.